Trajan’s Forum is the most magnificent and spectacular of the Imperial Forums in Rome, the last in chronological order. The complex of the Forum, inaugurated in 112 AD, was a celebration of the triumph of the Emperor Trajan over the Daci barbarians, people who lived in the regions of present day Romania. During the reign of Trajan, the Roman Empire reached the peak of its power and of its territorial expansion, with a further substantial increase of bureaucratic and judicial institutions in the capital: it was therefore necessary to expand the facilities for the administration of justice and relations with the provinces. The Forum, a total length of 300m and 185m wide, was characterized by its innovative architecture. Inside, it included the Basilica Ulpia (from the name of Marco Ulpius Trajan), a civil building intended for the performance of processes; libraries and the magnificent honorary column. The complex was finished by Emperor Hadrian (117-138 AD) with the construction of a temple dedicated to Trajan and his wife Plotina, both deified, that is traditionally placed in the north of the column, underneath the palace which is currently home to the province of Rome. 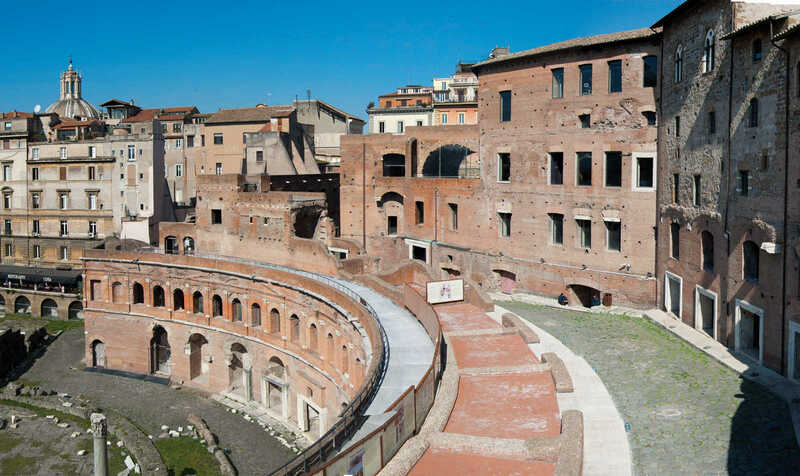 The Markets of Trajan are an extended and articulated complex of buildings from Roman times in the city of Rome. Built in the early second century A.D. at the behest of Trajan, they are placed as a hinge between the ancient and popular Subura (now the Monti district) and the valley of the Forum. On the one hand they were used to support and line the extreme slopes of the Quirinale, regularized to make way for the Forum of Trajan; on the other they were intended to exceed 40 meters in altitude with a daring engineering solution. The market buildings are divided into six levels distributed in two areas, upper and lower. Communications are secured horizontally by three pedestrian streets, while the vertical connections are coordinated by internal and external stairs. The complex of Trajan’s Market housed administrative offices for the activities that took place in the forum. In the surroundings of the “central body”, the headquarters of Trajan Forum’s procurator must have been, who was responsible for the functioning of Trajan’s Forum. The topographic location and availability of large spaces in quantity and quality have favoured the constant reuse of the “Market”: from the residences of prestigious Roman families in Castellum Miliciae, with the multi-stage construction of the mighty Tower of the Militias, a complete transformation of the Dominican convent of St. Catherine of Siena, and the reoccupation after capital Rome with an army barracks. The Museum of the Imperial Forums tells of the monumental Roman architecture, one of its greatest achievements. Rooms in the museum present some significant findings of the five forums; There are two sections devoted to the Forum of Caesar and Augustus. The museum employs a mixed communication system, with traditional panels and videos using multimedia technologies, with the aim to revive the link between the materials on display, the appearance of the ancient buildings to which they belonged and the remains of them preserved in the archaeological sites. 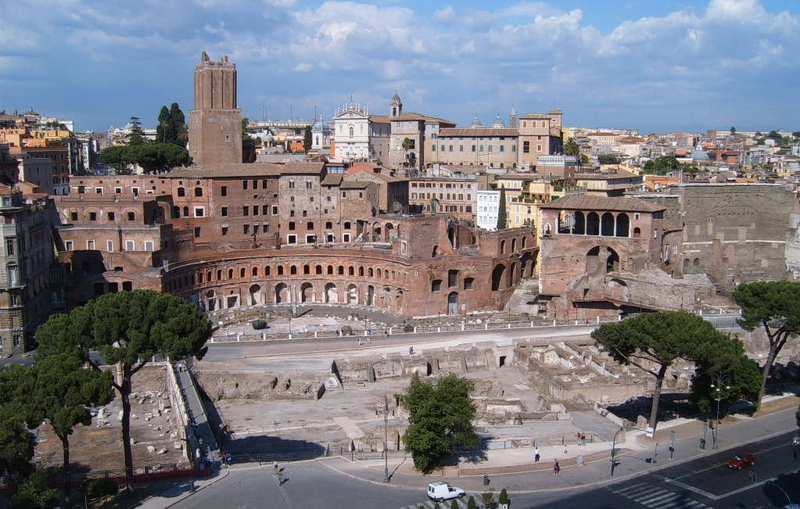 Do you want to know more about the history of the Trajan’s Forum and Market and see them as they were originally as monuments of ancient Rome? 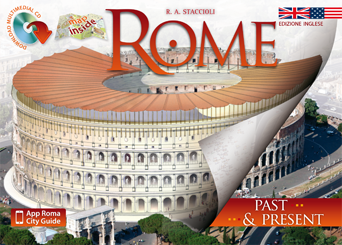 Check out our guidebook to Rome, with detailed history and Past & Present images of the Trajan’s Market, the Pantheon, the Colosseum and all the greatest historical and archaeological sites of the eternal city. 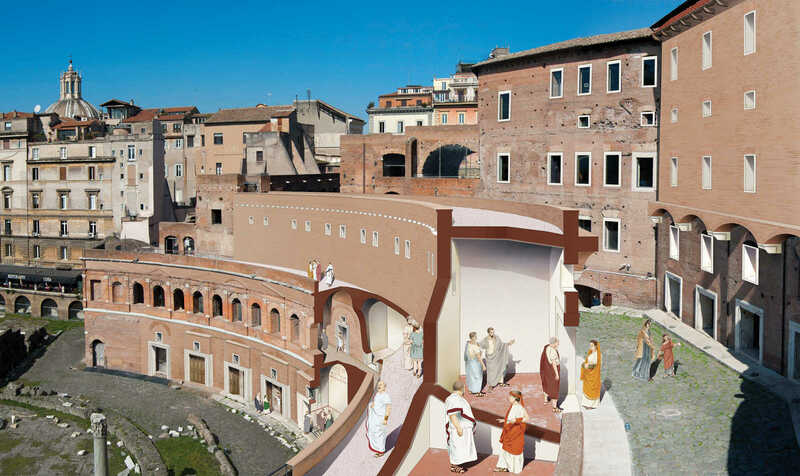 Below is some practical information for visiting Trajan’s Forum and markets. 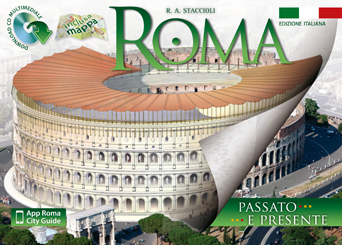 Below is where you will find the Forum and Trajan’s markets and how to get there from Termini station.